PoGOLite is an instrument designed to measure the polarisation of photons in the energy range of 25~80 KEV. It's main objective is to probe the geometry of and processes inherent in objects such as pulsars, pulsar wind nebulae, accretion disks, jets, and highly magnetized neutron stars. At left can be seen an scheme of the instrument mounted in the gondola (click to enlarge). The heart of the instrument employs a hexagonal array of detectors, consisting of phoswich detector cells surrounded by a segmented side anticoincidence system (SAS). Each phoswich detector cell (PDC) consists of a hollow slow scintillator along with a Bismuth germanate (BGO) crystal for rejection of off-axis events, and a fast scintillator for detection of polarization events. The slow scintillator is situated at the entrance of the instrument and acts as a collimator in order to detect particles and photons which do not arrive from the direction of the source. Each slow scintillator is hollow to allow photons from the direction of the source through to the fast scintillator, which is directly beneath. The BGO crystal just below the fast scintillator signals when a photon or particle enters the detector from beneath. The fast scintillator is used as part of the array of fast scintillators for determining the polarization of incoming photons. Each side anticoincidence system unit comprises three BGO crystals glued together, for rejection of background events from the sides, forming a shield around the array of PDCs and allowing the vetoing of events which include a hit to one of these side detectors. A photomultiplier tube is attached to each PDC and SAS unit for single photoelectron detection. The present configuration for the POGOlite pathfinder mission includes 61 PDCs and 30 SAS units. In a future flight the full instrument will count with 217 PDCs and 54 SAS units. In the stratosphere, albedo neutrons are produced by cosmic rays scattering off the atmosphere, and these are expected to dominate the background, thus, is important that only events from the scattering of an incoming source photon are counted. Both passive and active background rejection systems are employed. A neutron arriving from the side of the polarimeter will produce a scattering event very much like that produced by a source photon, so thick layers of polyethylene are placed beneath the PMTs and around the outside of the instrument, to absorb the neutrons. The SAS is placed around the PDC array in order to determine if a particle entered the instrument from the side, and the BGO crystals below the fast scintillators enable further background rejection. The field of view is narrow because the slow scintillators are used to collimate the photons arriving at the fast scintillators and the pointing system ensures that the instrument is kept pointing at the target through a data acquisition run. The data acquisition electronics consist of twelve flash Analog to Digital Converters (FADC) boards, a digital In/Out board, a SpaceCube computer, and two router boards which connect the other components through ESA'S SpaceWire standard. During an observational run, the data (polarization waveforms) are stored on any FADC available board. Once enough information is obtained, the SpaceCube store it on a CompactFlash card. 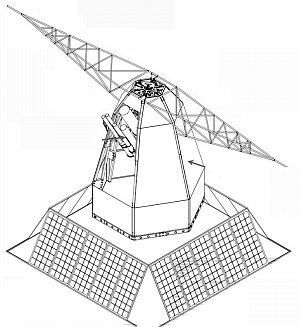 They are then transmitted after every data run to an onboard solid state disk drive, in order to be accessible from the ground station. As POGOlite is specially suited to observe point-like sources, is of paramount importance to count with a reliable pointing/stabilization system. For this the scientific team developed the attitude control system (ACS). It consists of a differential GPS system, two gyroscopes (fibre-optic and micromechanical), accelerometers, magnetometers, and a fast star tracker connected to a small real-time computer. All this is supplemented by a slower star tracker which calculates the exact viewing angle by fitting the locations of stars in the field of view to the coordinates of objects in a database. 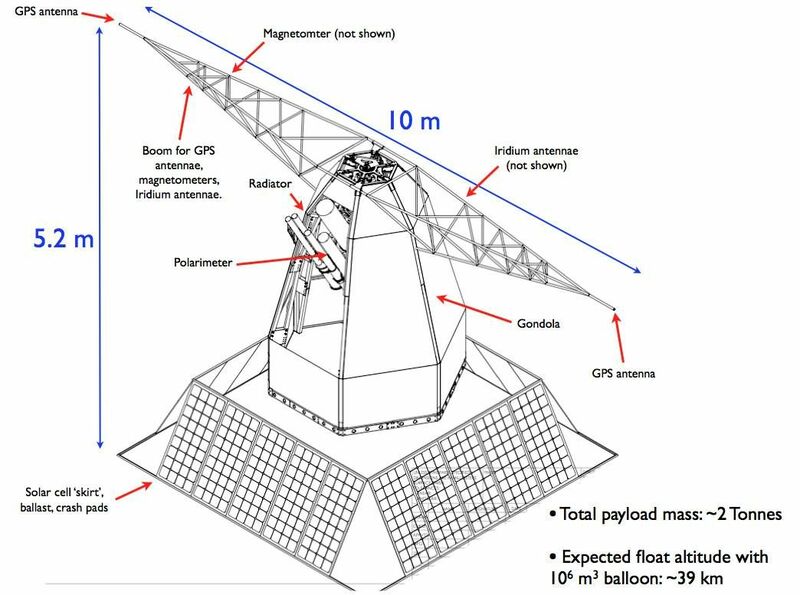 The instrument is connected to the balloon flight train through a momentum dump system which along with a flywheel allows to compensate the slow perturbations injected in the system by the balloon dynamics. An elevation motor can adjust the pointing angle toward most areas of the sky. To reduce systematic effects, the entire polarimeter is rotated around its viewing axis during data acquisition by means of a bearing system and a motor. For each polarization event, the rotation angle of the instrument is recorded. The detectors, photomultipliers, and electronics are contained within a system of connected pressure vessels in order to keep them at 1 atmosphere of pressure and to maintain a good working temperature. The slow star tracker and other devices are contained within separate pressure vessels. The instrument is controlled by means of an onboard realtime computer which communicates with the attitude control system and the slow star tracker to control and monitor the pointing, the cooling system, and the pressure vessels. The computer also initiates data acquisition runs and command the storage of housekeeping and other data in the onboard solid state drive. 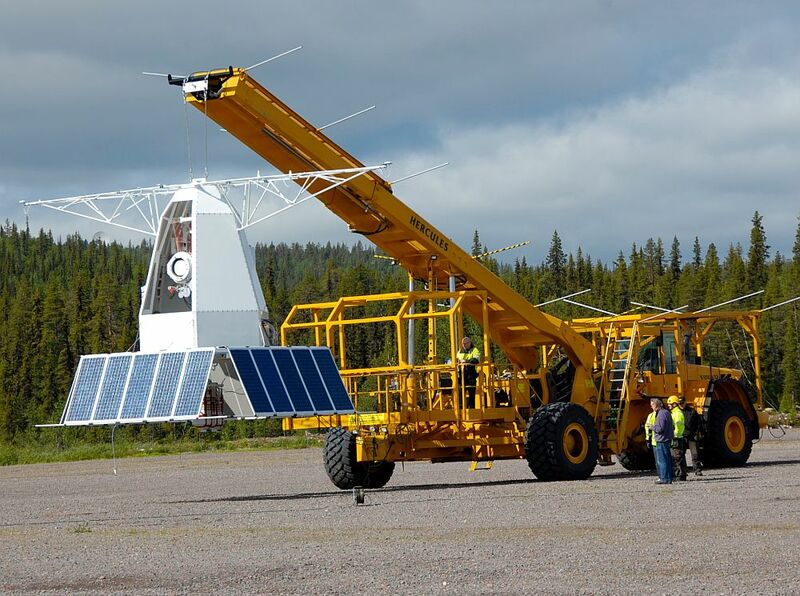 The polarimeter along with the attitude control system are mounted in a two part gondola measuring 5 meters tall which was specially designed by SSC Esrange. The upper part is connected to the ACS frame and also provides a mounting point for the cooling system radiators and pump. The lower section houses batteries, power control electronics and communications equipment. The gondola frame is covered with lightweight honeycomb panels which enhance the structural rigidity and help protect the polarimeter from damage during landing. Attached to the upper part of the gondola are two glass-fibre booms both of which spans five meters from each side. They have a GPS antenna mounted at each end to meet the pointing accuracy required for the differential GPS system. Other antennae (for Iridium, over-the-horizon communications, Esrange flight systems, and the magnetometers for the ACS system) are also located there. 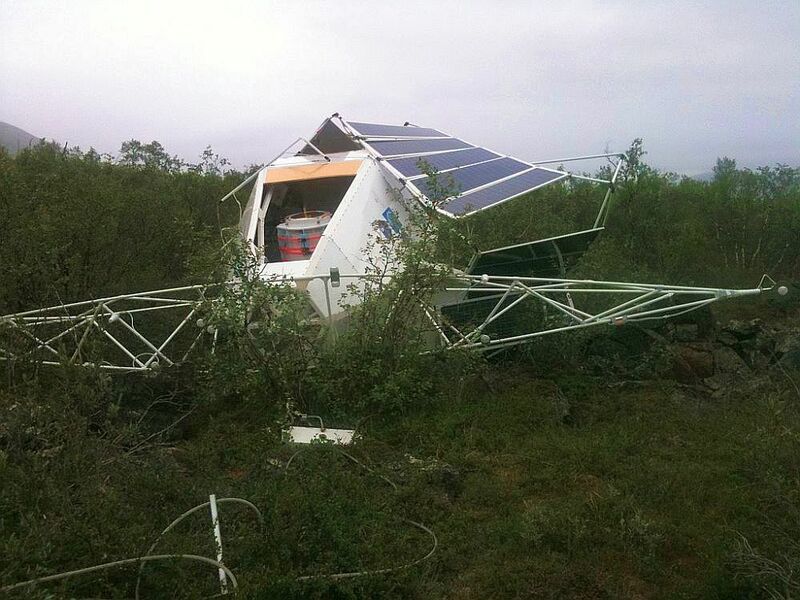 Beneath the lower gondola, a four-sided 'skirt' of five solar panels per side, are mounted along with the landing crash pads, ballast hoppers and E-Link communication antennae. The balloon was launched by dynamic method assisted by launch vehicle (Hercules) at 23:57 utc on July 6 -corresponding to 1:57 local time on July 7-. After an initial ascent phase apparently without ttroubloes, the balloon leveled at 35 km -a few kilometres short of the target altitude. After a while the flight height started to slowly decrease, implying that the balloon had developed a leak allowing helium gas to escape. Decision was taken to finish the flight once the balloon reached a safe landing zone. 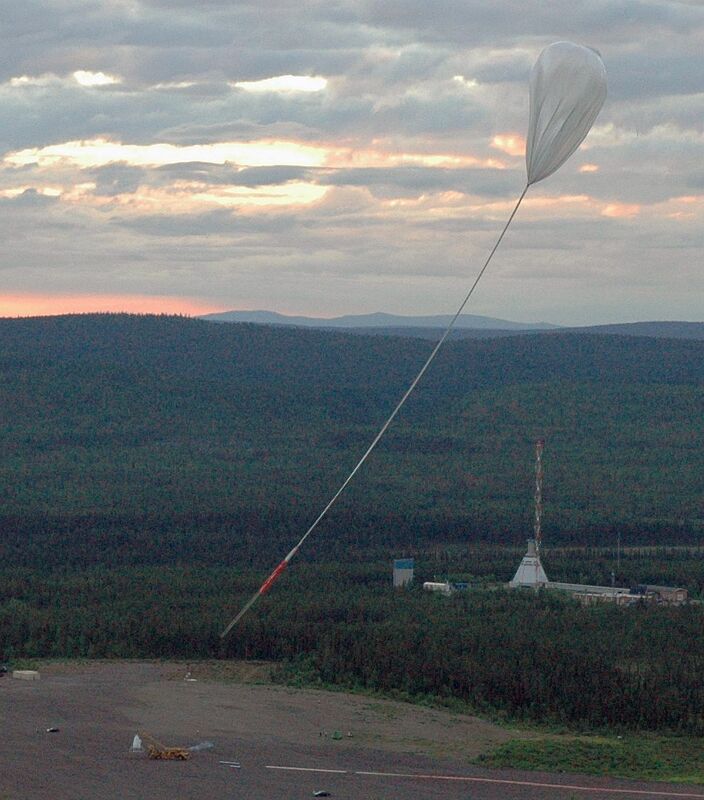 The termination command was sent at 5:21 utc while the balloon was flying, west of Kiruna. The payload separated from the balloon whitout problems and started to descent on his own parachute. 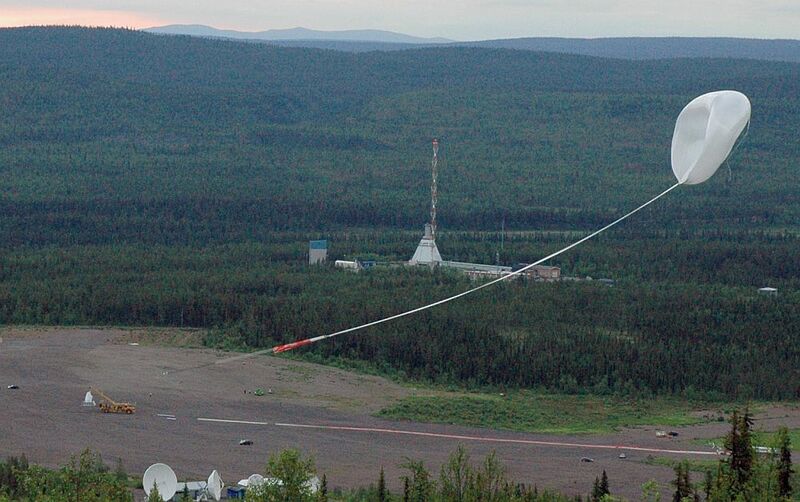 While the balloon impacted near the Kebnekaise mountain station while the instrument hit ground not far from the town of Nikkaluokta. The following day, the recovery team located the gondola lying on his back (as can be seen in the last image at right) but mostly intact. 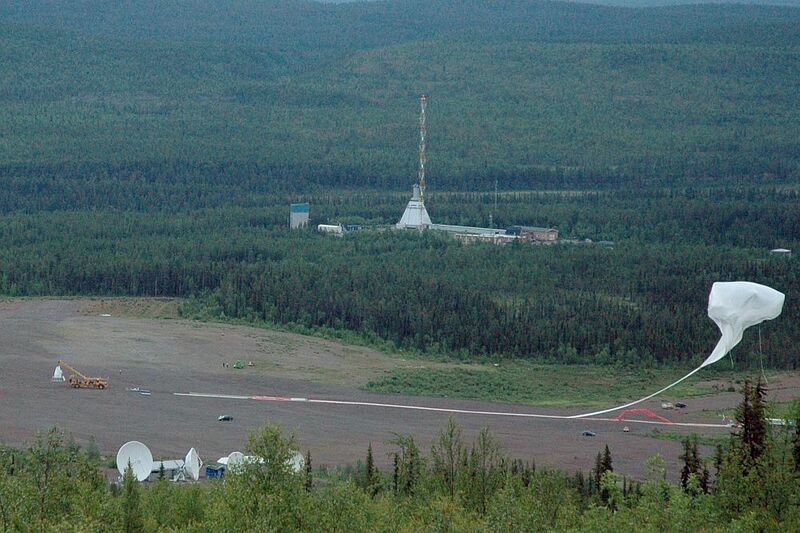 It was returned to Esrange where the Pogolite team made some preliminary tests of the telescope and attitude control system. After discovering some issues to work on, the payload was delivered back to their lab in Stockholm, and the campaign was called off. The early termination of the mission precluded the obtention of scientific data. The primary science target, the Crab pulsar, was still bellow the horizon of the instrument when the flight ended.